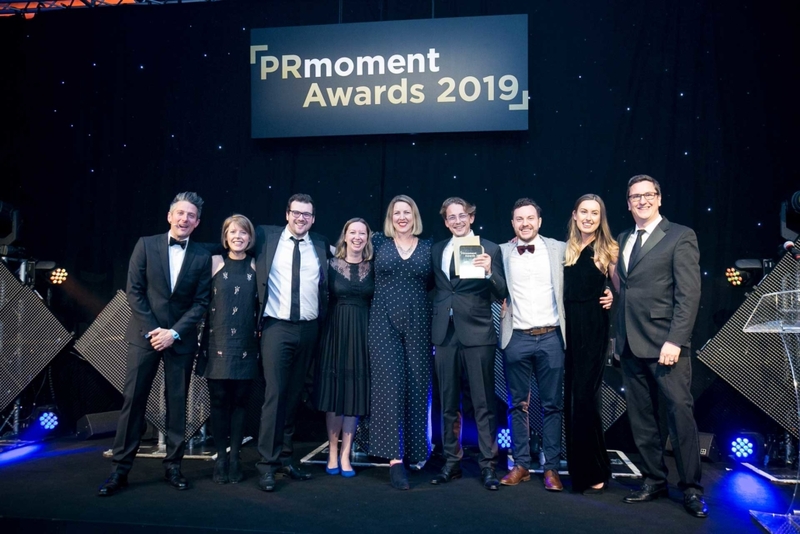 Last week Tyto was named PR Moment’s New Agency of the Year. Eighteen months since we launched, this is an important waypoint. Public relations and communications are crowded spaces to build a new business. It’s essential you stand out, but extremely difficult to achieve. I’m proud of everything we’ve done since we launched. The talent we’ve attracted, the clients we have won, and the fantastic work we’ve done. Yet, when our name was called out, and we won our award last week, it was a sense of accomplishment for everything we did in the run-up to our launch that I felt most strongly. You see, everything we’ve achieved that captured the imagination of the judges was conceived in the run-up to our launch. It was the product of months of homework and preparation. We were obsessed about being born right. We wanted our new agency to be built on strong foundations. Foundations that were well researched, had a strong strategy, had an amazing launch team, and was elegantly executed. Although we sit in the marketing and communications space, I think this emphasis on being born right has a universal quality relevant to any new business. So, how did we make sure our business was “born right”? First of all, we questioned and listened. We spoke to over 200 business and communications executives to understand what they valued in a public relations and communications partner, and what they felt was missing. This process is like building a giant jigsaw puzzle. No one is going to give you a blueprint for your new business, but by spotting consistent themes, you can create an overall picture of the market and where the gaps lie. We’d all worked for some fantastic agencies, and we didn’t want to build a replica, we wanted to make something new and better. Second, having absorbed all this information we developed a straw man of what our new business would be. Think of it as a prospectus for what our new business would offer and why it would be different. We then presented this to some of our most trusted and experienced contacts with an emphasis on prospective clients and employees. This helped to ground us and sharpen up our vision and plan. This stage is crucial because it’s very easy to get stuck in the clouds when you are dreaming up a new company, but it’s imperative to remember that you must be completely focused on your audience. A side benefit of confiding in potential employees and clients is that it strengthens your relationship with them because they feel a little bit invested in what you are trying to achieve. They become part of your story. I’ll be forever grateful to the individuals that helped us out in this phase. Third, having sharpened up our business vision and developed a more concrete plan we established a long list of the best people we had ever worked with. We had a clear idea of the mix of talent we wanted at launch, but we had no preconceived notion of who would want to join our team. We ran a rigorous process, similar to what you would do if you were looking to hire for any critical role. Fourth, having assembled our dream team, we then set about translating our vision into a brand and the words we would use to describe ourselves — a few things concerned us at this stage. First, despite not having much money to play with, we wanted to look like a premier league outfit from day one. Why? Because we wanted premier league clients from day one. Second, we felt like we had a compelling story at the heart of what we were looking to do and we wanted this story to be woven through our brand free of distractions. We agonised over every word and every visual component. Fifth, despite not having started working with clients yet, we invested heavily in time together with our launch team so that as far as possible we knew all the operational details of how we were going to work. We also invested in the operational infrastructure we were going to need. The reason for all of this preparation is that we wanted to have a smooth take off when we started onboarding clients. We wanted to have some fundamentals nailed down rather than make them up as we go along. Making them up as you go is an ok strategy for a startup, but we knew it would slow us down. Finally, we planned out in meticulous detail how we were going to drive sales and marketing, and how every person in the business was going to contribute to this. We wanted to punch above our weight and make the noise of a company several times our size and the only way we were going to do that was for us all to be entrepreneurs. Eighteen months on, we’ve built a sizeable operation, we work with amazing clients, and we have a dream team that has rightly been crowned award winners. There’s now time for a short pause for breath as we plan the next 18 months of our growth and development, which promises to even more exciting than the first.